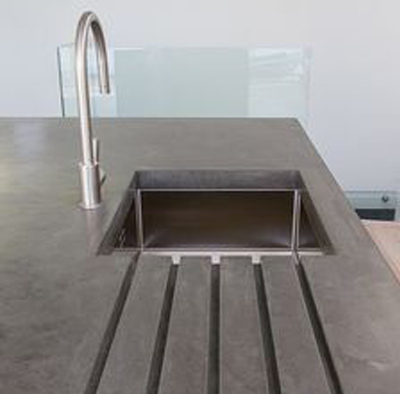 Add style and function to your Hard by Design concrete worktop with an integral drainboard. 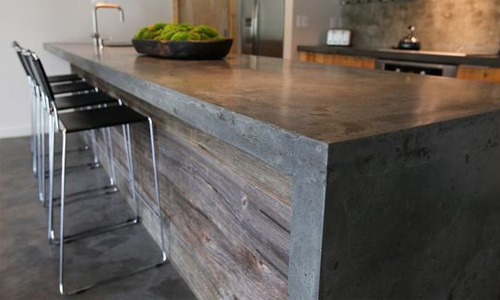 Hard by Design strive to add a little bit of flair into all of our products and this is a unique way in doing so. 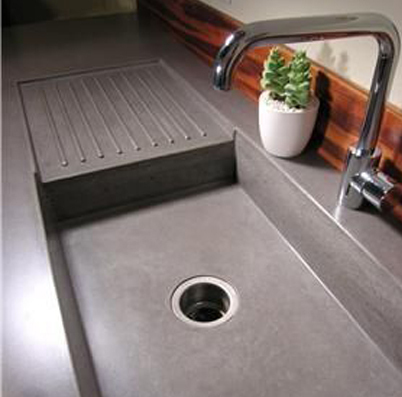 We offer a wide variety of standard or recessed drainboard designs from countertops with cast in slats that slope down toward the sink, to gradually sloping ramp style drainboards that allows water to fall into your sink effortlessly. 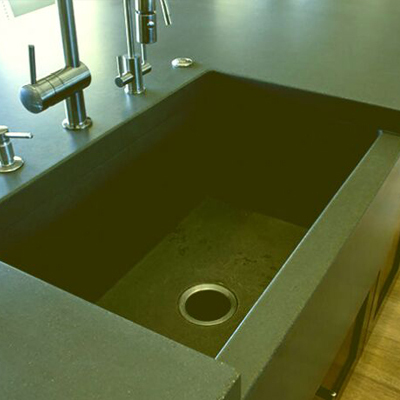 HardByDesign offer a huge variety of integral kitchen sink designs. 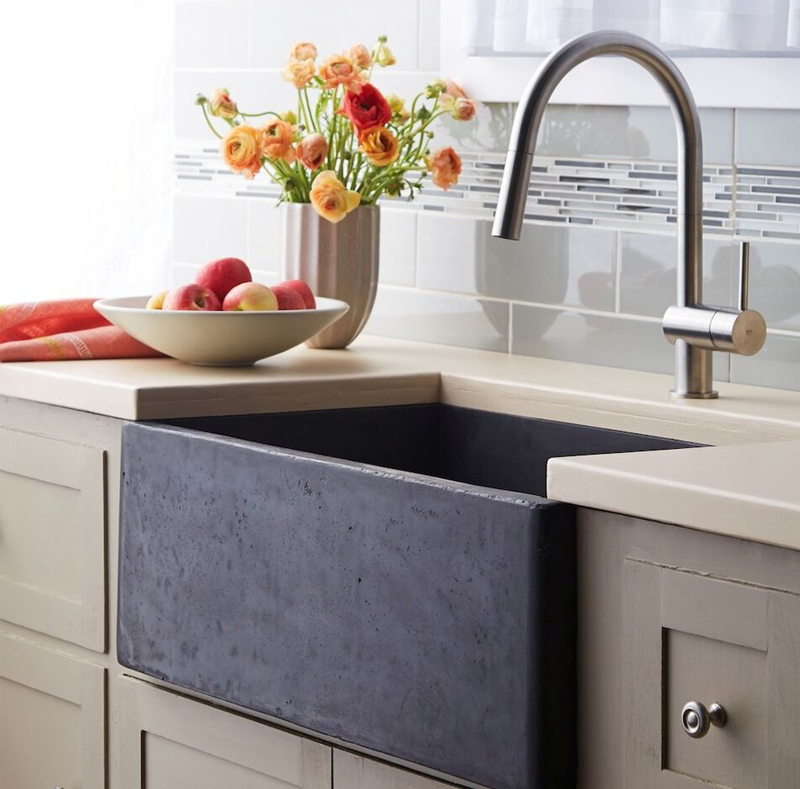 The seamless flow and smooth transition of our cast in sinks make them very easy on the eye and functionally these designs will make cleaning a breeze. 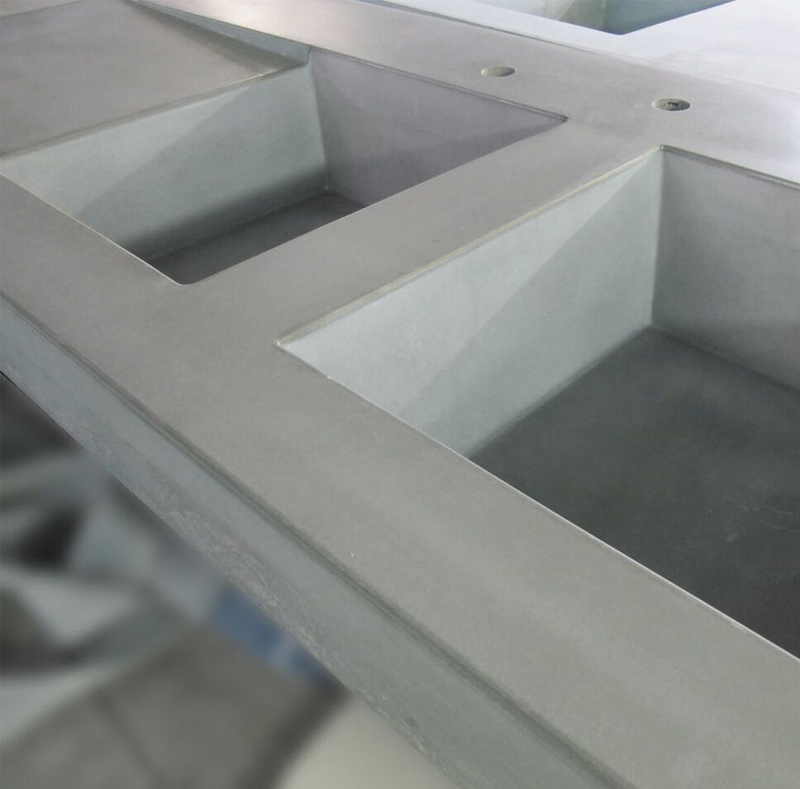 Our cast in kitchen sinks can be custom made to any specification you require and can be produced in any one of our standard 7 colours, allowing you to have your very own distinctive centrepiece for any kitchen. 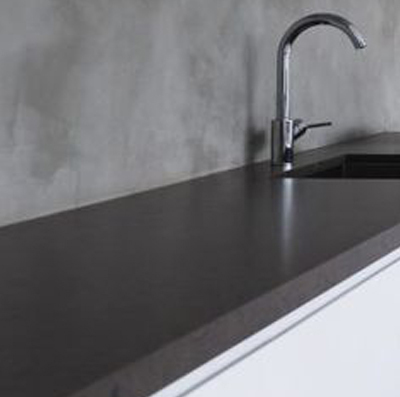 At HardByDesign we offer countless splashback varieties to fulfil every specification you need. 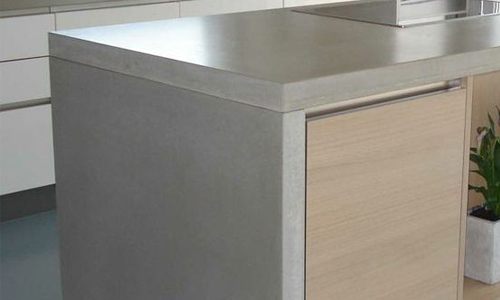 We offer ranges from as small as a 100mm strip around the back of your worktop to full wall coverage. 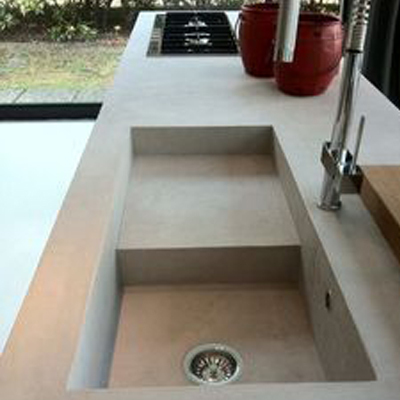 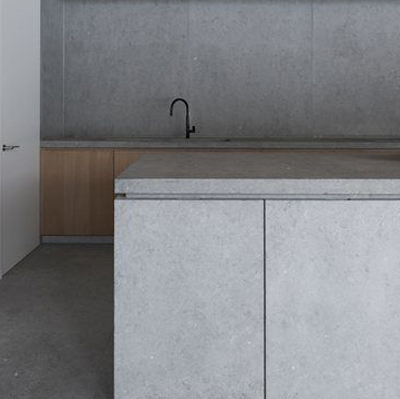 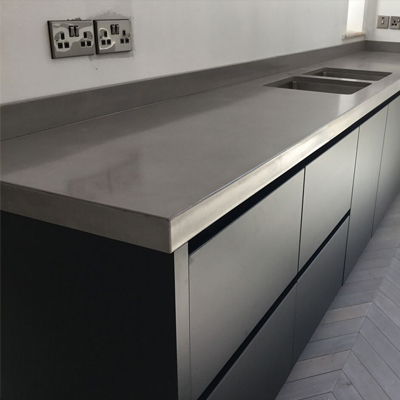 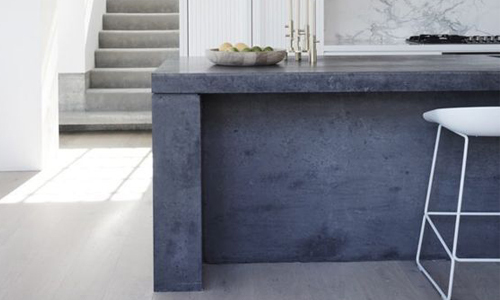 Concrete is the perfect choice for any splashback, it is a contemporary and in-trend alternative to other materials and with its appealing aesthetic and longevity it makes it the perfect choice for almost anything you can imagine. 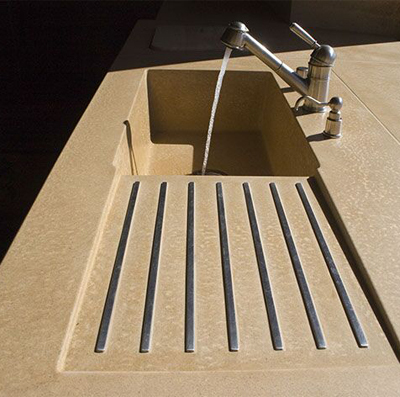 We offer a range of waterfall gables. 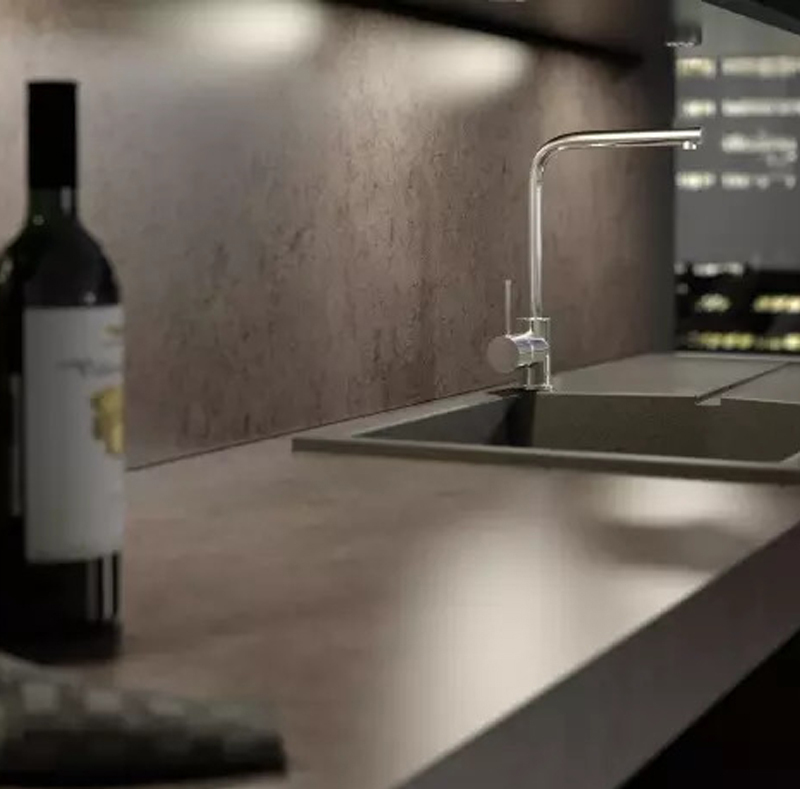 These products are a must have for any contemporary kitchen design. 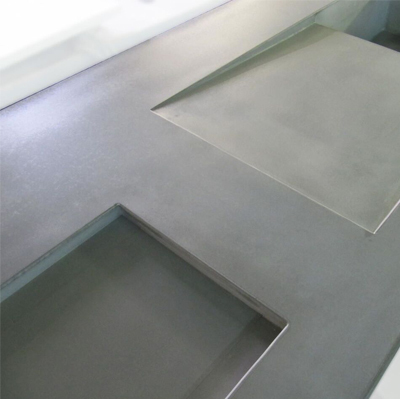 At Hard by Design we try and cater to your every need in terms of variety therefore we can design and produce waterfall gables, cast and installed in one seamless piece or we can design a two-piece waterfall gable cast and installed separately. 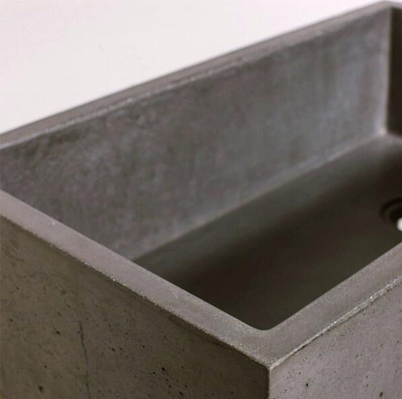 Concrete is the perfect choice of material for your waterfall gable, the strong and durable material matched with its visually striking angular aesthetic when used with this product will give you your very own distinctive centrepiece. 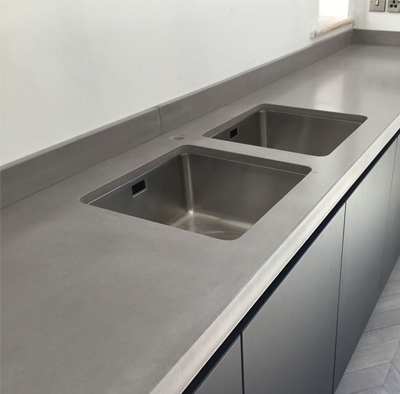 This product is available in 7 of our standard colours allowing you to colour match it perfectly to kitchen colour scheme.